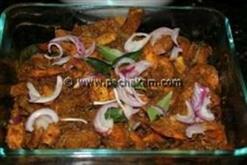 Kerala Mutton (Erachi) fry is made with very few ingredients. This kerala mutton fry is made with poppy seeds, grated coconut, onion, ginger, garlic and raw masala ingredients. 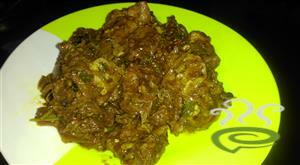 Everybody will really like this simple kerala mutton fry. Ghee or dalda - 3 oz. Cut the meat into big pieces. If it is a tender meat, add 2 cups of water along with salt and cook till dry. Remove from fire. Fry the poppy seeds and grind all the ingredients into a fine paste except cinnamon, cloves and cardamom. Mix the ground masala and the cooked meat. 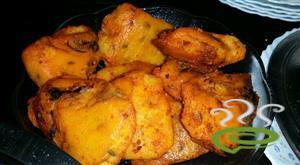 Heat ghee or dalda in a small thick bottomed pan. Fry cinnamon, cloves and cardamom. 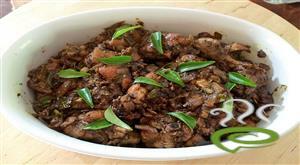 Add meat, reduce heat and cook till dry, stirring till mutton is dry. 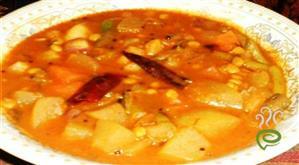 :- Serve kerala mutton fry hot. 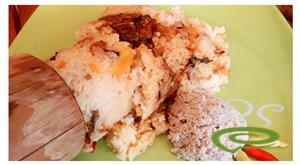 :- Kerala mutton fry goes very well with porotta or rice. 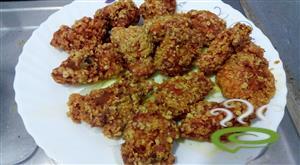 this was a very good receipe for me.and also easy to make taste to eat.